May is shaping up to be a glorious month here in Calgary. I can say this today because we had a nice sunny normal spring day with the temperature actually reaching 20 C!! Yesterday we power raked the lawn and did some spring clean up around the yard. Yet there is still snow in the forecast….and I’ve really had enough! For those of you that don’t follow Dish ‘n’ the Kitchen regularly (please do, you won’t regret it!) I’ve had some really great news…the Pea Feta and Dill Quiche with Sweet Potato and Lentil Faux Pastry won in the freestyle category of the Candadian Lentils Recipe Revelations Contest. I won a gift certificate to Amazon and I will likely be ordering the odd cook book from there in the future. A mere week before I found out I won I had already ordered three new books, two of which have already arrived! 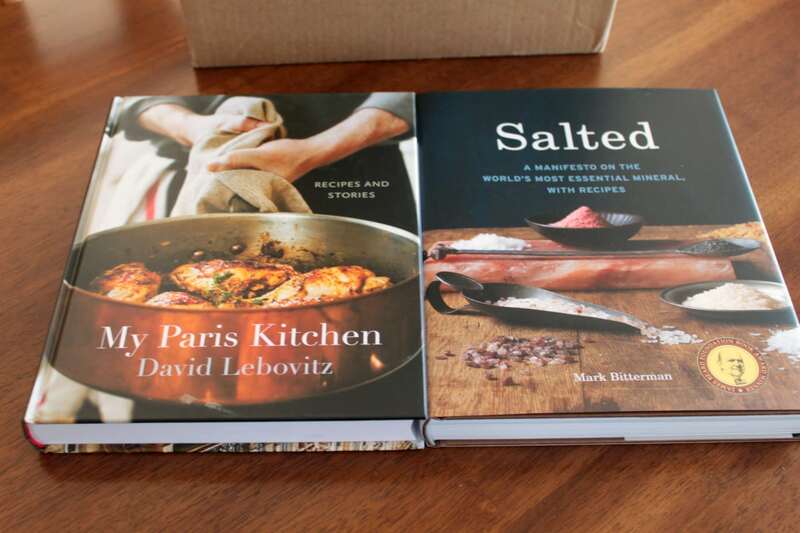 I can’t wait to get cooking from ‘My Paris Kitchen’ as most of the recipes I’ve made via David Lebovitz have been amazing! Our local Co op store has started carrying micro greens. 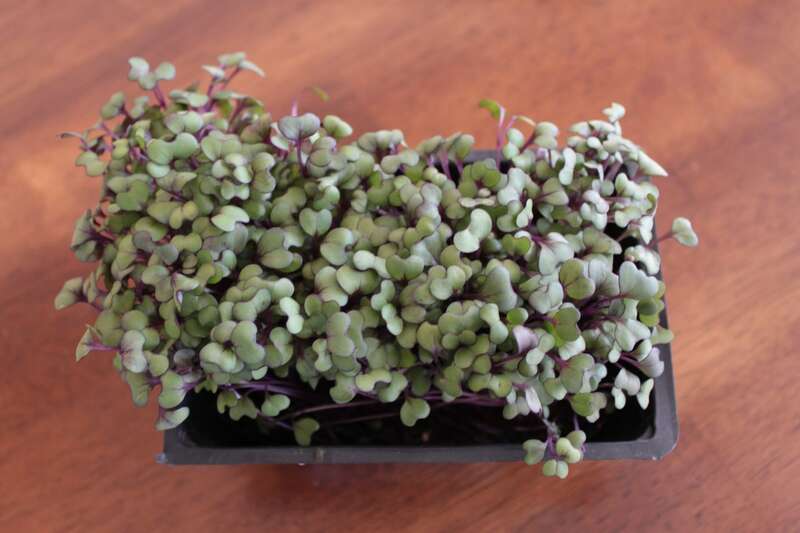 I couldn’t resist these adorable little red cabbage greens. I’ve been starting to experiment with mixing cocktails. One of my favourite booze mediums is Gin and I have about four kinds currently stashed away. 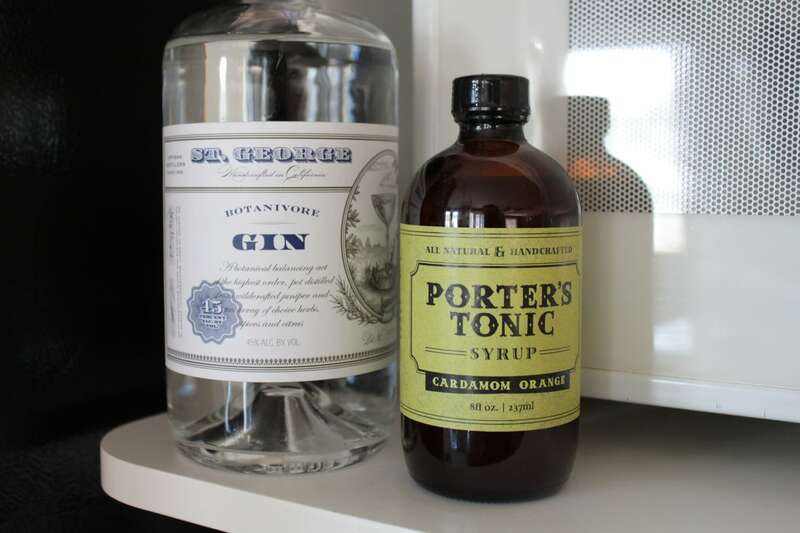 I like to make my own syrups and mix them up with some tonic water (the carbonated kind). This tonic here is a locally produced herbal tonic that functions as a syrup on its own. Could you refuse a Gin Orange and Cardamom cocktail? And there has (and always will be) been some cooking in my kitchen. 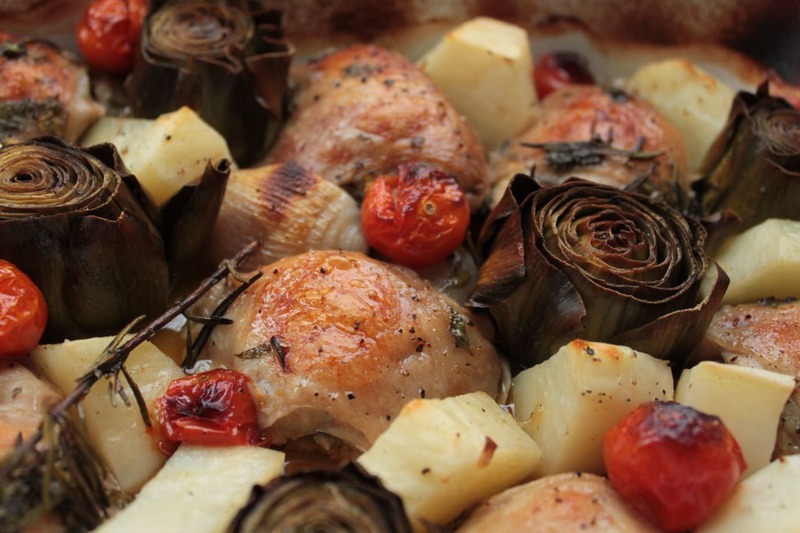 I found some amazing little artichokes that I baked up with chicken thighs, cherry tomatoes, potatoes, and lots of lemon. We had these chorizo and spinach stuffed portobello mushrooms topped with goat cheese crumble last night for dinner. And finally, this lovely bunch of spring rhubarb…what would you make with it? Thank you Celia of Fig Jam and Lime Cordial for organizing this large bunch of posts from around the world. It’s a lot of hard work and definitely a lot of dedication but please know I look forward to IMK posts every month. Grab a cuppa and enjoy a few! 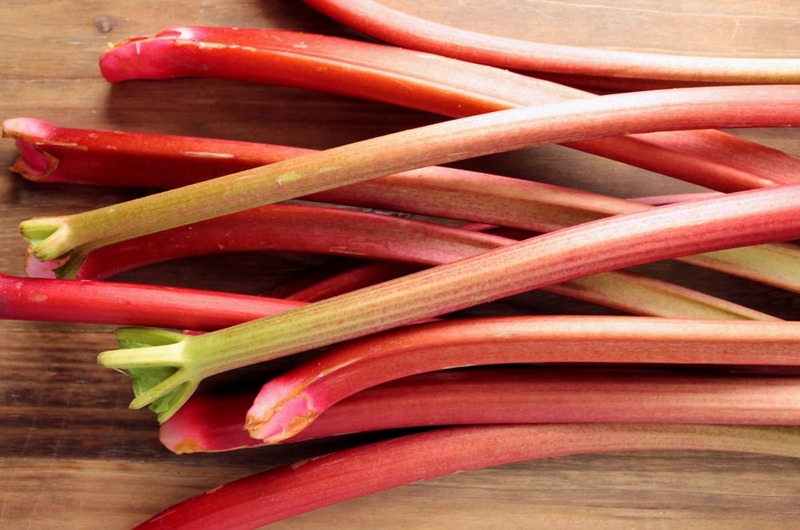 Love rhubarb, particularly paired with strawberries in pies, crumbles, ice cream… Rhubarb also makes a good base for chutneys. What did you end up making? I have a few cocktail books too, and slowly building up my ‘collection’. Rhubarb cake! My rhubarb is just starting to come up. Those stuffed mushies look freaking awesome. Very edible indeed! Wow – you have opened my mind re: Gin & Tonic. I love gin too and have a few different kinds (Plymouth is my fave) and I’ve been experimenting with making shrubs and bitters but it had never occurred to me to make a tonic syrup. I’m on to it! Thanks for the tour. In answer to your question, no I couldn’t resist a Gin Orange and Cardamom cocktail. 🙂 Have you tried poaching your rhubarb with a little gin? I often use Sloe Gin and it takes away that furry teeth feeling. Rhubarb poached in Rose Gin mixed with a little Rose Syrup is delicious and any excess juice makes a wonderful jelly. I am crazy for Cardamom!! Raspberry Gin, Blackberry Gin, Rose Gin all seem to work. I haven’t tried regular gin yet. I’ve never heard of these variants. Are they coming out with flavoured gin because flavoured vodka seems to be popular? Or have they been around a while? I’m not really much for flavoured booze, preferring to make my own syrup instead that way I know real fruit went into the drink! What brand are they? My daughter makes Slamseys Fruit Gins commercially – http://www.slamseysgin.co.uk These were popular over here way before flavoured vodka took over. Sloe Gin is the most traditional but they’re all made the traditional way by steeping the fruit in the gin and then straining out. OH! I’ve never heard of Slamseys. We definitely don’t have that here in Canada. We do have a couple of brands of Sloe gin but I sure would like to try Slamseys. Sooo…can you ask if she exports to Canada anywhere? I live in Calgary, Alberta and one of the best liquor stores (with the most variety) is Willow Park Wine and Spirits. They’ve been introducing quite a few new gin brands so I bet they’d be open to getting some in. Maybe I’ll put in a request!!! So many lovely and delicious things in your kitchen! 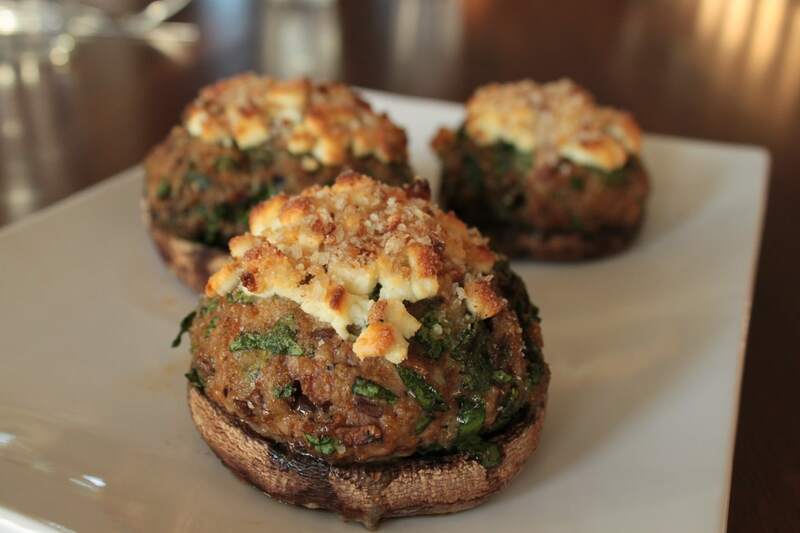 The stuffed portobello mushrooms look great! It certainly is very tasty..a perfect patio sipper! 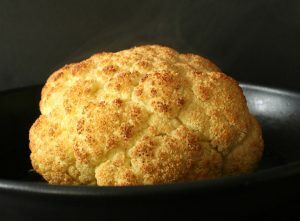 Bernice, I made a “visual meal” of your entire IMK post… an orange/gin/cardamom cocktail followed by your chorizo/spinach/goat cheese stuffed portobello mushrooms and lemony chicken thigh/potato/tomato creation… and something rhubarb for dessert… do you take reservations? hmmm that DOES sound good! We did eat them all separately though. I’m very excited because my rhubarb is FINALLY ready to harvest 🙂 Stay tuned for more rhubarb posts! P.S. Congratulations on winning the freestyle category with your amazing quiche!! !